How can my partner, family & friends get involved with my pregnancy and our baby? Although most of the bonding that will be happening during the pregnancy is between Mum and baby, there is a lot you can do to help your partner, friends and family feel included too. The bigger your support network is, the better.  Take your partner along to antenatal classes. You can take someone from your family if you like, or a friend.  Get your partner, friend or family member to watch the Essential Parent online videos.  Give your partner, friend or family member particular responsibilities, such as researching and choosing a car seat, pram, and baby monitor.  Bring your partner along to all the scans - there's nothing like seeing your baby and hearing its heartbeat! If your partner isn't coming, you can take a friend or family member instead.  Encourage your partner, friends and family to connect with baby by stroking your bump, pointing out movements or reading stories. Your growing baby is sensitive to sound and will recognise voices heard in the womb after birth.  How can my partner, friends and family get involved with my pregnancy and our baby? It’s very common for women to feel like their partners are not very involved or invested in the baby during pregnancy. That’s partly down to biology and physiology. Very early on in pregnancy women feel different both physically and psychologically. The first time you feel your baby move inside you (between 12- 20 weeks) is an unforgettable and intimate moment that is impossible to share. Until your bump starts to show, it can be very hard for your partner to fully understand the fact that the baby will be born in a matter of months. Fathers/partners tend to focus their energy on supporting their pregnant partner as, of course, it is a fact that it is the mother’s body that is providing nourishment and oxygen for growing the baby. 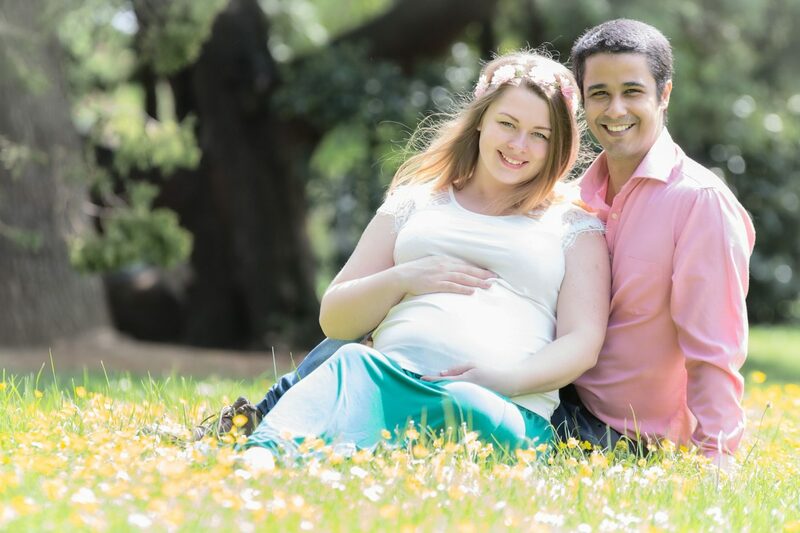 Ways to help your partner feel involved during pregnancy include taking part in couples antenatal classes, such as those run by your local maternity hospital, the NCT, antenatal yoga groups or local active birth groups. You can also take friends and family along to support you. Bond with your baby and prepare to become a parent. Help you be healthy and comfortable during pregnancy. Be actively involved when the new baby arrives. You can also help share the responsibility by suggesting your partner, friend or family member takes over certain preparations such as researching and choosing a pram, car seat and baby monitor. If you find that your partner isn’t interested in reading books about baby-care you can always show him or her our baby care material to watch. Finally, it is really important that your partner comes along too as many scans as he or she can. These are really lovely opportunities to see your growing baby. If you have rented a Doppler monitor, it can also be lovely for you and your partner to relax together on a bed while you listen to your baby’s heartbeat. Your partner might enjoy talking to the baby in your tummy as well. It’s a great way to start the bonding process. This works just as well for other family members or friends too. Here are some additional tips from our expert doula and pregnancy osteopath Avni on dealing with stress. Whether you decide to adopt or biologically parent, Gay and Lesbian couples can sometimes feel excluded as so much of the literature talks about ‘Mums and Dads’. Thankfully LGBT couples and their needs are being met more in recent years and many organisations including the NHS are working to become more inclusive in the information they provide. Organisations such as Stonewall can also provide links to specific information for parents to be and you can enquire about local antenatal classes run either by the NHS or privately to see which works best for you. Whether Gay or straight the same anxieties and excitement about the life change involved with becoming parents apply. When is the best time to tell friends, children, family and colleagues that you're pregnant?